One of Mother Nature’s most exciting spectacles is the Great Wildebeest Migration, when 1.5 million wildebeest travel north from the Serengeti into the Masai Mara in Kenya and back again. But there’s one special event that demands the most attention. 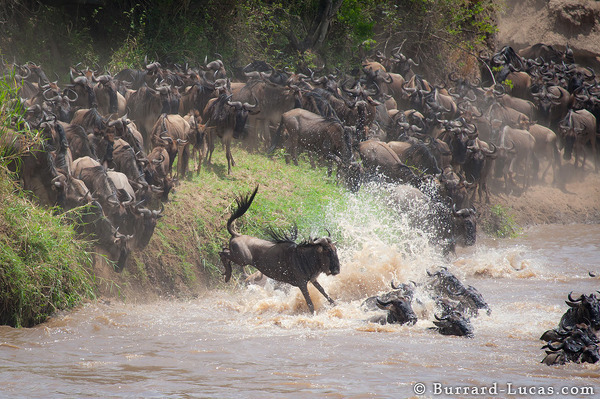 The highlight of the Great Wildebeest Migration is the Mara River crossing. Without a doubt, the highlight of the trek is the Mara River crossing. Tens of thousands of the animals storm their way across the Mara River, fighting fatigue and dodging hungry crocodiles the size of canoes. Depending on the seasonal weather, the crossings can take place any time between July and September. The Natural History Museum chose brothers Will and Matt Burrard-Lucas’ film as a finalist in the Wildlife Photographer of the Year Award for their time-lapse capture of the wildebeests’ crossing of the Mara River. What you don’t see in this video is the endless line of vehicles along the banks jockeying for the best view. It’s become such a tourist attraction that the public sections of the river become inundated with safari trucks filled with photo-snapping onlookers. With so much traffic in the public park, it’s become more like the zoo than the wild. It has the distinct feeling of a manufactured display put on for the tourists. There are some secrets to avoiding the crowds. Different spots along the river are a little harder to get to so they tend to have less traffic. Also, the river crossings in Tanzania tend to be less populated with tourists. 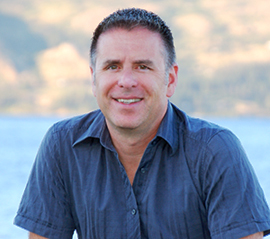 The most important thing is to work with a company that specializes in private travel. They’ll have connections with guides that are dedicated to getting away from the crowds and providing an authentic experience. Don’t let a few hundred tourists ruin this trip for you. If you’re interested in talking about a trip to Africa to view the migration, or any other trip around the world, please feel free to drop me a line. What do you think? Is this on your list? Have you seen the Mara River crossing already? Let me know below!